What are hoe cakes? No it’s not what you think it is ;). Hoe cakes are often associated with the American South, where hoe cakes are served with a variety of sweet and savory foods. There are several explanations where hoe cakes came from. Some food historians use ex-slave narratives as proof that hoe cakes are called that because they were cooked on the back of a hoe. Others believe the name hoe cake comes not from the slaves cooking the cornmeal on a metal hoe, but rather from an earlier meaning of the word hoe, which was synonymous with griddle. Found this recipe in the Garden and Gun magazine and didn’t change a thing. Some things are better left alone. Canola oil, combined with some bacon fat. 1. In a medium bowl, whisk together flour, cornmeal, baking powder, salt, and sugar. 2. In another small bowl, combine buttermilk, water, bacon fat, and sour cream. Blend well. 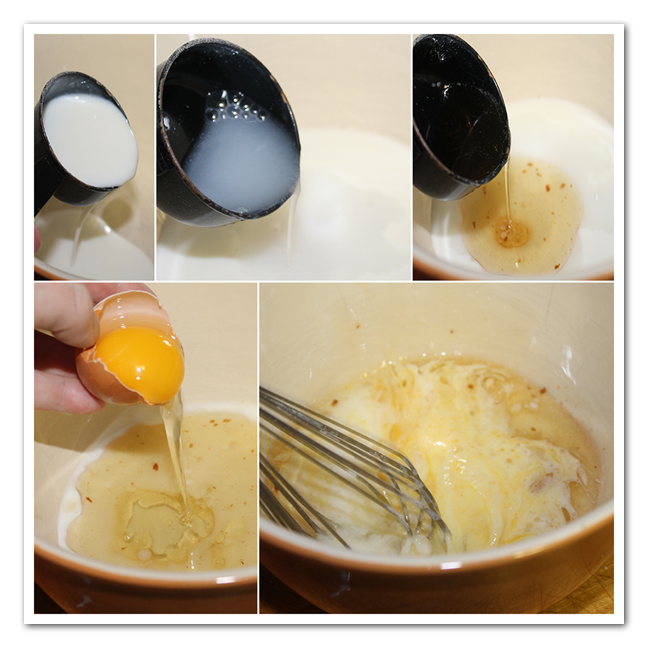 Add eggs, and mix until just combined. 3. Pour liquid into dry ingredients, and mix just until a thick batter has formed. Stir in the chopped green onions and bacon. To keep the hoecakes tender, avoid over-mixing. 4. Heat oil and bacon fat in a cast-iron or other heavy skillet over medium to medium-high heat. Use about an eighth of a cup of batter for smaller cakes, or a quarter cup for larger ones. Cook them as you would pancakes, allowing them to fry on one side for about three minutes or until crisp and golden brown. Flip and cook for another couple of minutes. Replenish oil as needed, to maintain a generous film in the pan. 5. Batter will keep for a couple of days tightly covered in the refrigerator. If it seems too thick after storing, stir in a bit more buttermilk or water. What are hoe cakes? No it's not what you think it is ;). Hoe cakes are often associated with the American South, where hoe cakes are served with a variety of sweet and savory foods. There are several explanations where hoe cakes came from. Some food historians use ex-slave narratives as proof that hoe cakes are called that because they were cooked on the back of a hoe. Others believe the name hoe cake comes not from the slaves cooking the cornmeal on a metal hoe, but rather from an earlier meaning of the word hoe, which was synonymous with griddle. Found this recipe in the Garden and Gun magazine and didn't change a thing. Some things are better left alone. 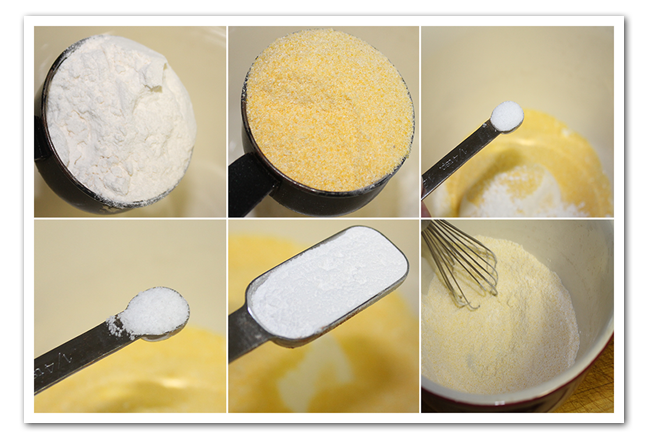 In a medium bowl, whisk together flour, cornmeal, baking powder, salt, and sugar. 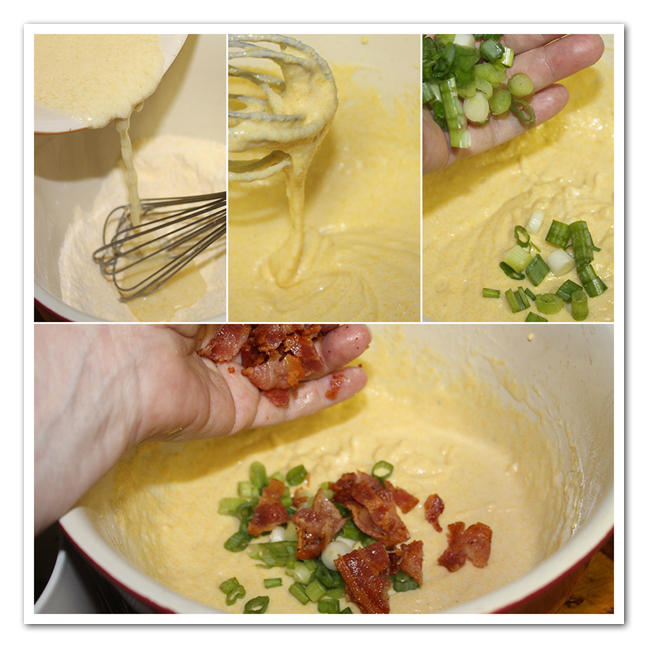 In another small bowl, combine buttermilk, water, bacon fat, and sour cream. Blend well. Add eggs, and mix until just combined. Pour liquid into dry ingredients, and mix just until a thick batter has formed. Stir in the chopped green onions and bacon. 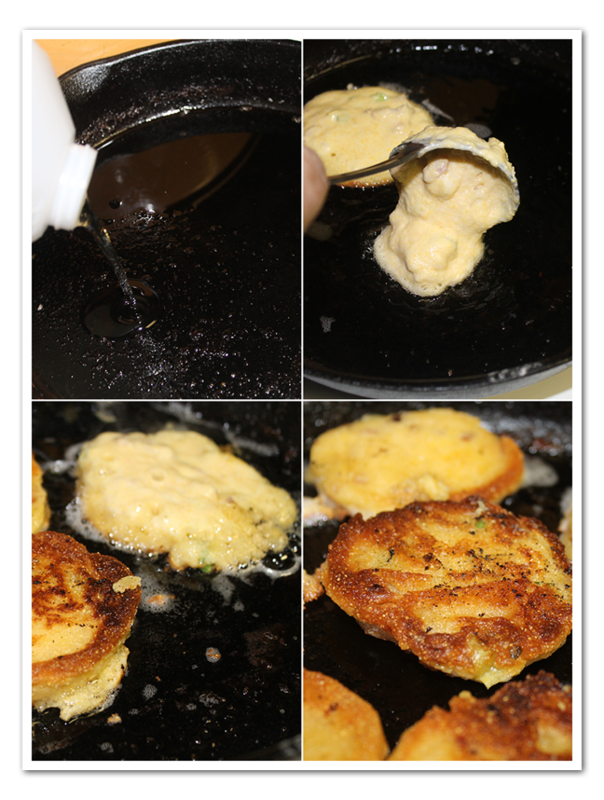 To keep the hoecakes tender, avoid over-mixing. Heat oil and bacon fat in a cast-iron or other heavy skillet over medium to medium-high heat. Use about an eighth of a cup of batter for smaller cakes, or a quarter cup for larger ones. 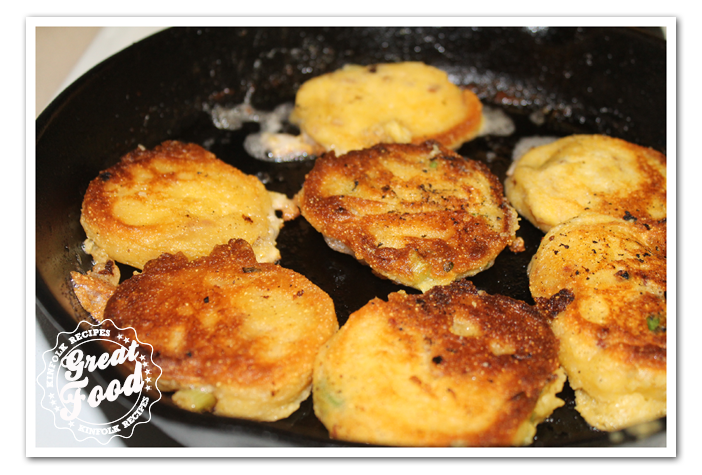 Cook them as you would pancakes, allowing them to fry on one side for about three minutes or until crisp and golden brown. Flip and cook for another couple of minutes. Replenish oil as needed, to maintain a generous film in the pan. Batter will keep for a couple of days tightly covered in the refrigerator. If it seems too thick after storing, stir in a bit more buttermilk or water. Found this recipe in the Garden and Gun magazine and didn't change a thing. Some things are better left alone. In Australia , the word “Johnnycake” refers to a quick bread made with flour rather than cornmeal; the cakes are baked in the hot ashes of a fire or fried in fat in a skillet.